Tangled and True: hand stuffed turkey. Today we spent the morning working on turkeys. They didn't turn out as cute as this one, but the girls love them. They were relatively easy and we had all the supplies on hand, just the kind of craft I like! I may do this activity with all the nieces and nephews on Thanksgiving! Oh I Love it so much, great craft for kids! I have so many ideas now. Thanks! Love the turkeys and LOVE the new look of the site. SO cute, Brittany. 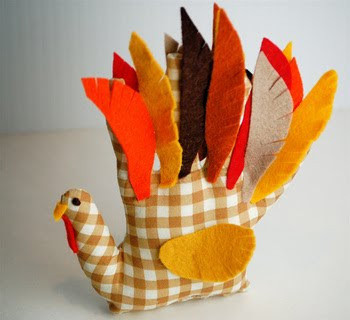 i loved the turkey craft! You are so so amazing and creative! You creation is so awesome. Wow!!! I love it!! !